Cartwheel. Hardcover. GOOD. Spine creases, wear to binding and pages from reading. May contain limited notes, underlining or highlighting that does affect the text. Possible ex library copy, thatâll have the markings and stickers associated from the library. Accessories such as CD, codes, toys, may not be included. Scholastic, Incorporated, 2002. Hardcover. Acceptable. Disclaimer:A readable copy. All pages are intact, and the cover is intact. Pages can include considerable notes-in pen or highlighter-but the notes cannot obscure the text. At ThriftBooks, our motto is: Read More, Spend Less.Dust jacket quality is not guaranteed. 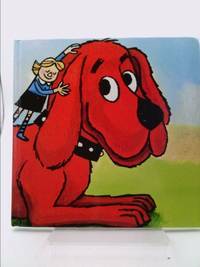 Scholastic, Incorporated, 2002. Hardcover. Good. Disclaimer:A copy that has been read, but remains in clean condition. All pages are intact, and the cover is intact. The spine may show signs of wear. Pages can include limited notes and highlighting, and the copy can include previous owner inscriptions. At ThriftBooks, our motto is: Read More, Spend Less.Dust jacket quality is not guaranteed. Scholastic, Incorporated, 2002. Hardcover. Good. Disclaimer:A copy that has been read, but remains in clean condition. All pages are intact, and the cover is intact. The spine may show signs of wear. Pages can include limited notes and highlighting, and the copy can include previous owner inscriptions. The dust jacket is missing. At ThriftBooks, our motto is: Read More, Spend Less. Scholastic, Incorporated, 2002. Hardcover. Good. Disclaimer:A copy that has been read, but remains in clean condition. All pages are intact, and the cover is intact. The spine may show signs of wear. Pages can include limited notes and highlighting, and the copy can include previous owner inscriptions. An ex-library book and may have standard library stamps and/or stickers. At ThriftBooks, our motto is: Read More, Spend Less.Dust jacket quality is not guaranteed. Scholastic, Incorporated, 2002. Hardcover. Acceptable. Disclaimer:A readable copy. All pages are intact, and the cover is intact. Pages can include considerable notes-in pen or highlighter-but the notes cannot obscure the text. The dust jacket is missing. At ThriftBooks, our motto is: Read More, Spend Less. Cartwheel. Used - Acceptable. Ships from Reno, NV. Shows definite wear, and perhaps considerable marking on inside. 100% Money Back Guarantee. Shipped to over one million happy customers. Your purchase benefits world literacy! Cartwheel. Used - Very Good. Former Library book. Great condition for a used book! Minimal wear. Cartwheel. Used - Good. Ships from Reno, NV. Former Library book. Shows some signs of wear, and may have some markings on the inside. 100% Money Back Guarantee. Shipped to over one million happy customers. Your purchase benefits world literacy! 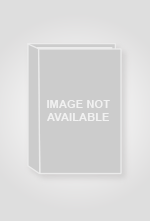 Cartwheel Books - Scholastic. HARDCOVER. 2002. 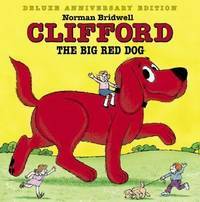 0439403960 :Binding:Hardcover (worn copy)<br />Vendor: Cartwheel Books<br />Subject:Juvenile Fiction | General . Good-. Cartwheel. Used - Good. Good condition. Acceptable dust jacket. Owner's name on inside. Cartwheel, 2002-10-01. Hardcover. Good. Hardcover book in good condition, but missing dust jacket if issued one. Name on the cover. New York, New York, U. S. A.: Scholastic, 2002. First Thus 1st Printing. Hardcover. Good/Very Good. 4to - over 9¾ - 12" tall. First Deluxe Anniversary Edition (First Thus) With The Number Line Indicating A First Printing. The Book Has A Tear At The Base Of The Spine And A Small Tear At He Lower Front Corner. No Ownership Marks Or Writing. The Jacket Has Some Wrinkling But No Chips Or Tears. Ages 4 And Up. New York, New York, U.S.A.: Scholastic, 2002. 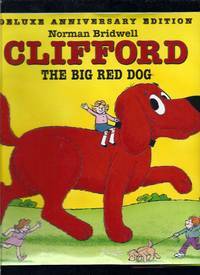 Oversized Unpaginated Colorful pages Previous owner's name on provided bookplate on front facing page, otherwise book is AS NEW Colorful dustjacket Clifford and his name are in red velour Small tear at bottom edge of front cover of dust jacket. First Thus. Glossy Hardback. Very Good/Very Good+. Cartwheel. Hardcover. 0439403960 Like New Condition. . Fine. Scholastic, Incorporated, 2002. Hardcover. Very Good. Disclaimer:A copy that has been read, but remains in excellent condition. Pages are intact and are not marred by notes or highlighting, but may contain a neat previous owner name. The spine remains undamaged. The dust jacket is missing. At ThriftBooks, our motto is: Read More, Spend Less.Dust jacket missing. Fifth printing. SIGNED and inscribed by the author. Minor shelf and handling wear, overall a clean solid copy with minimal signs of use. 2007 printing. Previous owner's name printed on front page. Binding is sound. Pages are intact and free of marks. 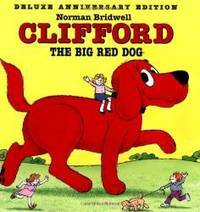 One of the most beloved children's book series ever printed, the ""Clifford"" books helped to establish Scholastic as a premier publishing house and have sold millions of copies worldwide. Secure packaging for safe delivery. Cartwheel. Hardcover. 0439403960 Crisp pages and tight binding. Appears unread. Includes protective cover. Previous owners mark in front of book. . Fine.